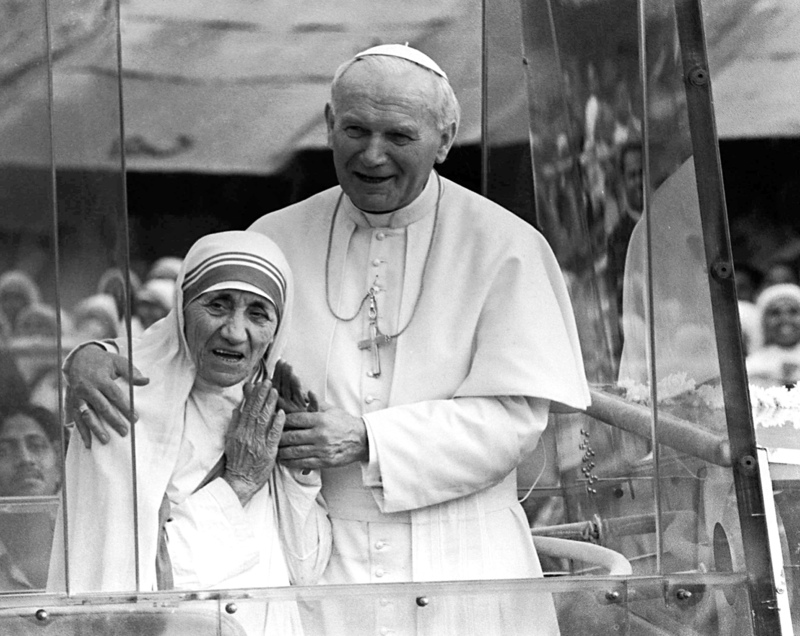 ROME — For much of her life, she was known as the "living saint." 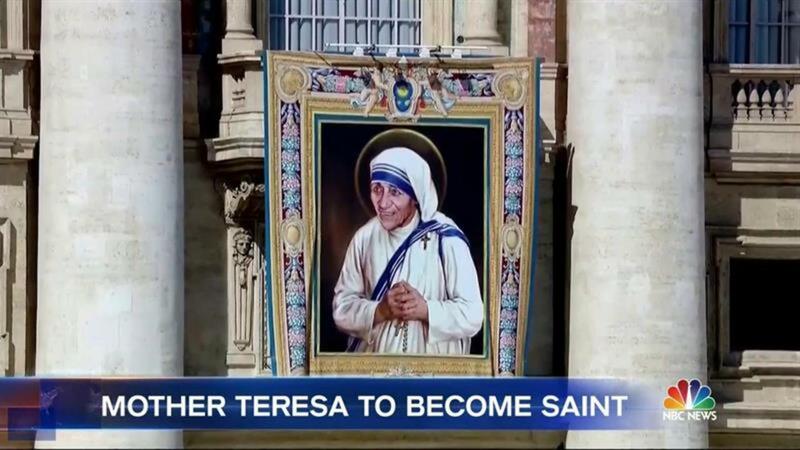 On Sunday, the 19th anniversary of her death, Mother Teresa's sanctity was sealed with a canonization Mass led by Pope Francis at the Vatican's St. Peter's Square. To her legion of steadfast admirers, the Nobel Peace Prize winner's ascendance to "sanctified" status may look as inevitable as it is justified. But for a nun whose name has long been a byword for pious compassion, her canonization has been met with controversy. Much of the criticism of Mother Teresa has focused on how her practice of Catholic devotion collided with the real needs of the impoverished people she set out to help. In the eyes of some, particularly in India, she put fame and piety before her mission of aid. "I personally think that she did more harm than good"
Some of the most scalding criticism comes from the people of Kolkata — which was formerly known as Calcutta — the city Mother Teresa devoted her life to helping. For some Kolkatans, Mother Teresa's focus on the city's impoverished amounted to something like urban character assassination. Thanks to Mother Teresa — born in modern day Skopje, Macedonia as Anjezë Gonxhe Bojaxhiu, in 1910 — the name Kolkata became as tarnished as the so-called "saint of the gutters" was celebrated, according writer Chitrita Banerji. The Kolkata native argues that her city's sorrows were no different than those found throughout India. "Cities have identity. They have nuance. Because Mother Teresa became very famous and she won the Nobel Prize, Calcutta became very un-nuanced in the Western worlds' minds," said Banerji, who now lives in Massachusetts. "Intentionally or not, I feel that she robbed Calcutta of a certain part of its identity." For Aroup Chatterjee, a London-based doctor who was born in Kolkata, the perceived defamation of his city was a call to action. After he took exception to what he called the repeated mis-characterization of Kolkata in the Western media, Chatterjee began his own, nearly lifelong investigation of Mother Teresa's global operations. "I personally think that she did more harm than good," said Chatterjee, who published a book-length critique of Mother Teresa in 2003 called "Mother Teresa: The Final Verdict." "She was very cruel in how she treated people at her home for the dying. I think she preached a very negative, very medieval, obscurantist ideology." A representative for Mother Teresa's sprawling global charitable order, the Missionaries of Charity, declined to comment for this story. "No responding to criticism. Thank you. God bless you. Goodbye," the woman at the group's headquarters in Kolkata said over the telephone before hanging up. To defenders of Mother Teresa outside her order, disapproval of the tiny nun either smacks of outright lies or misses the point entirely. For most who knew her, the image of Mother Teresa as an attention-seeker is alien to their memories of her as a selfless servant of God. If Mother Teresa's patients struggled, it was because they were already dying in the midst of unimaginable poverty, they say. Perhaps most importantly, it was Mother Teresa who began a global movement of hope in an India creeping toward authoritarianism and amidst a Cold War rife with political suspicion. "What is most important is for us to see that it's not something from the medieval times or some distant saint that is sort of held up as holier than thou or a distant figure," said Lucinda Vardey, a writer who was commissioned by one of Mother Teresa's publishers to write a book, called "A Simple Path" about the candidate saint. "It's a real woman who took great risks, who had a real belief that Jesus called her to do this, and she went ahead and did it without any form of hesitation," she wrote. Such praise meant little to Mother Teresa's critics. Among the most scalding was the late polemicist Christopher Hitchens, whose 1994 documentary "Hell's Angel" excoriated the nun for glorifying suffering instead of providing adequate care. 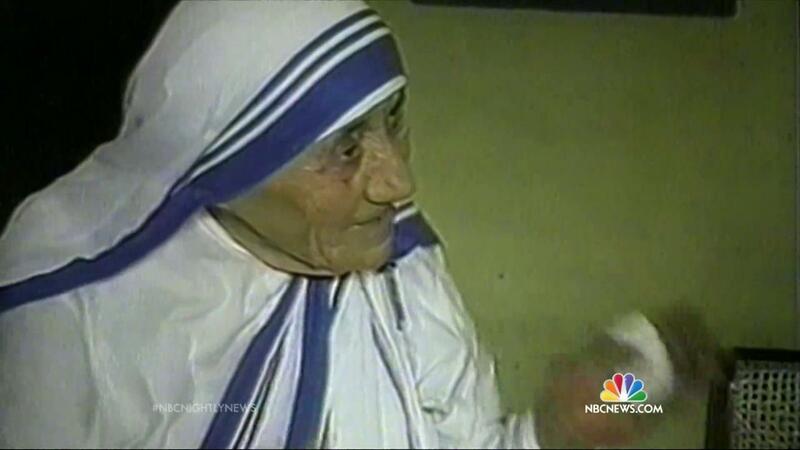 Much of the 23-minute film includes sound bites of Mother Teresa discussing her pro-life, anti-contraception beliefs during high-profile international visits. Hitchens — a vocal atheist — took her task for being an "ally of the status quo" for her relationships with Haiti's dictator Jean-Claude Duvalier, among others. A 1994 study by the UK-based The Lancet medical journal reported that even the most basic, life-saving drugs were not administered to salvageable patients who should have been admitted to a hospital rather than Mother Teresa's famous home for the dying. For a 2003 study, researchers at the University of Montreal and University of Ottawa examined nearly 300 documents belonging to the elderly nun. The report noted "her rather dubious way of caring for the sick, questionable political contacts, her suspicious management of the enormous sums of money she received, and her overly dogmatic views regarding, in particular, abortion, contraception, and divorce." But Hitchens' concerns and those of others will no doubt be drowned out by the joy of hundreds of thousands who are expected to attend Sunday's Mass to pay tribute to her.